Building Refurbishment, Builders, Bathroom Installation, in St Albans, Hertfordshire. Norbert Gajdos St Albans, Hertfordshire. 07894... reveal phone number » Be sure to mention BookaBuilderUK when calling this member! Solaris Property Services Ltd offer a wide range of Building services in St Albans, and Central London. We carry out full refurbishment projects with structural alterations as well as partial projects like quality internal/external decoration, carpentry, tiling or bespoke kitchen and bathroom fitting. We supply and fit bespoke built-in cupboards and modern kitchens, all manufactured in UK. We're mostly work in the residential factor, but we're asked time to time to carry out smaller shop fit-outs and commercial works. Our name stands for quality workmanship and always aiming for the best possible result. We are focusing on a very good relationship with our clients and most would recommend us, or use our services again. 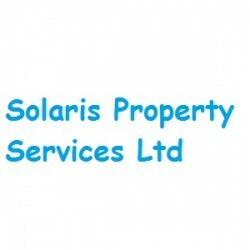 Have You Dealt With Solaris Property Services Ltd?